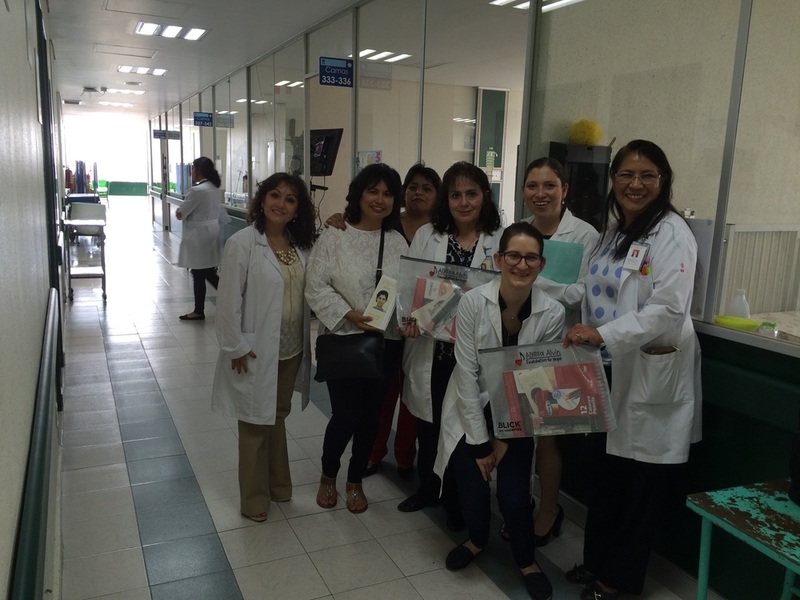 Alyssa’s Godmother, Nancy Avila and friend, Lilia Olvera joined Yoli to deliver 15 of Alyssa Starter Art Kits (SAKs) to the Instituto Nacional de Pediatría (INP) (National Institute of Pediatrics) in Mexico City on Thursday, July 28th. Several Hematology and Oncology doctors were present to hear about the programs offered by Alyssa Alvin Foundation for Hope. 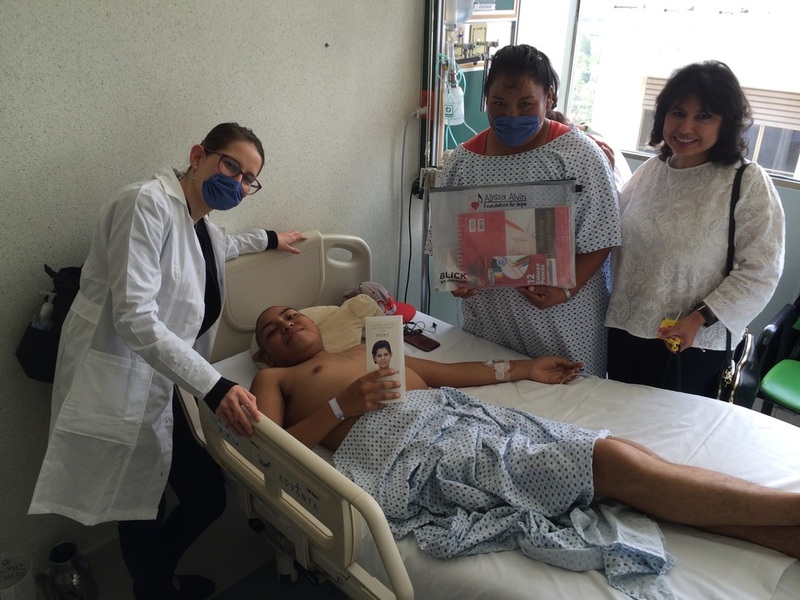 This was made possible by a co-worker of Yoli, Lucia Quiroz whose brother knows Dra. Amalia Gpe. Bravo Lindoro. Dra. Amalia is the Deputy Director of Auxiliary Services Diagnosis and Treatment at INP. We met with the following medical staff – Dra. Karla Maldonado, Dra. Daniela Goldbard, Dra. Norma Lopez, social worker lrma Dalio Hernandez and Lic. Joaquin Priego who has been the hospital director for 31 years. The Alyssa SAKs were a big success with the teens and young adults there. 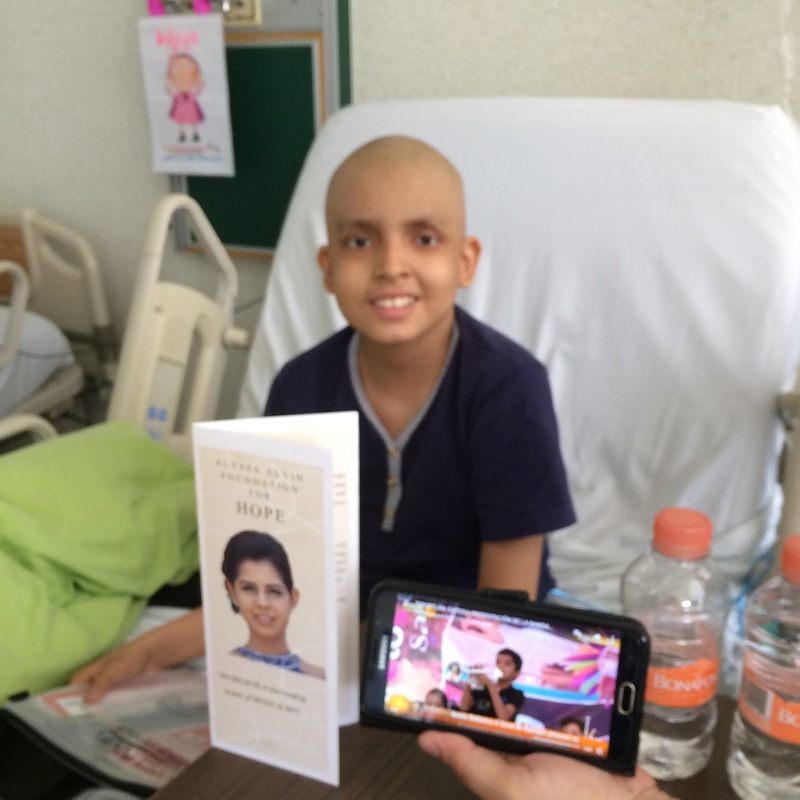 The young cancer patients immediately started using their professional art supplies. They were thrilled with the art kits! We shared stories of past Gift Recipients and told them of the AAFH website and how they too could submit a Gift Request. They were excited about the Gift Recipient Program and by the end of the night, AAFH had received a total of 10 completed gift request forms through our website! Stay tuned for the next blog on the deliveries.